Thread by @basilokpara: "Hello friends, I am excited to share my first experience of importation and running a business in Nigeria, my mistakes that cost me over $10 […]"
Hello friends, I am excited to share my first experience of importation and running a business in Nigeria, my mistakes that cost me over $100,000 and lessons learned. I hope someone learns from some of my mistakes. 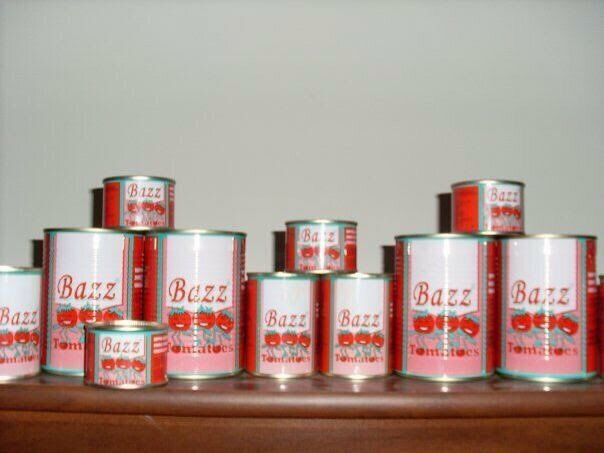 In 2008 April, I registered my first company Bazz Global Concept Ltd, got my first product Bazz Tomatoes registered with NAFDAC and secured my trademark. The product was produced in the Southern city of Italy called Salerno. NAFDAC remarked that the product was one of the best. Do not employ staff who are only interested in getting their salaries or because they are related to you. That’s a huge mistake. You are not in biz to satisfy family members especially those who feel entitled to your money and perceived success. The first mistake was entrusting a brother who was not committed to the success of the business. You can love and care for your people from afar but focus on those who are not just competent but passionately committed to the success of your vision. The business started successfully in August 2008 when our first shipment of 5 20ft containers of tin tomatoes arrived. We sold all of them within 2 months and also did massive market storms in different markets in Lagos which was successful. We embarked on a round of radio adverts and jingles which at the time was not necessary. It was a waste of resources. In doing business, ensure that you are frugal with your money and only invest in things that will increase your sales and profits. Explore avenues where you could achieve sales and profits without unnecessary expenses. Research and focus of minimizing expenses and increasing profits. 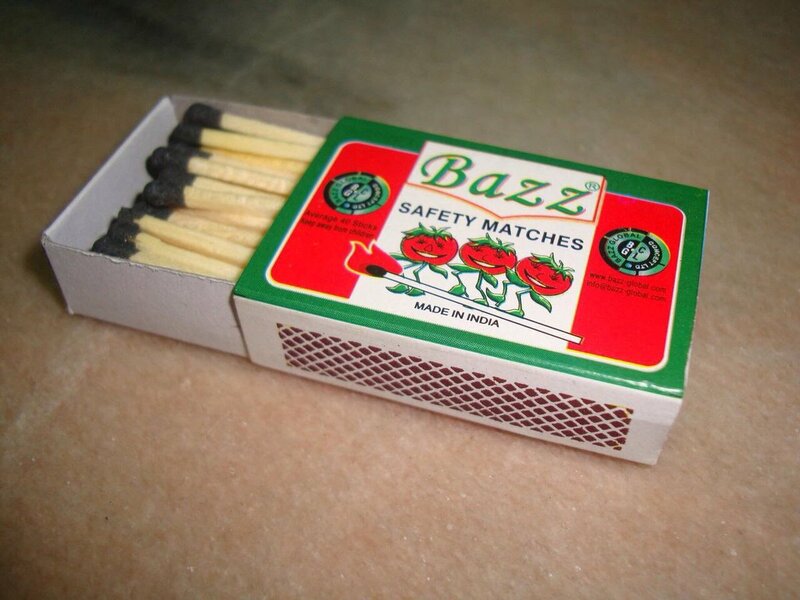 Anyway, business was good and we added another product to our brand, Bazz Safety Matches which was also a huge success in the market. I actually sent someone to India to tidy up negotiations and start importing. Now, this may sound like a great idea but the mistake was that we should have consolidated before expanding to other products as this was only gonna make out budget and funds tight. One good thing was that we had separate bank accounts for them and kept the funds separated. Now, when doing business in Nigeria, ensure you have a lawyer who you should retain or if you can’t afford to retain one, always consult a lawyer before taking any major decisions. The benefits of having a lawyer can never be over-estimated. So many businesses fail because they do not have legal guidance. Money spent consulting a lawyer or lawyers is never wasted. And make sure every agreement is well documented and filed. NEVER BE CONTENTED WITH VERBAL AGREEMENT. Whenever you are dealing with companies who produces your brand of products for you, ensure you have Manufacturing Agreement in place. The benefits of having such agreements is to ensure that your business arrangements are documents, enforced and defaults punished/compensated. So, while I was enjoying the first year of business and expanding to other products, I was having an exclusive relationship with Zenith Bank Plc. You see, I used to have this trait, when I start using a product or company, I start getting so attached to them will become loyal. I refused to entertain the courting of other banks who used to troop into my office almost on a daily basis asking me to bank with them. Hey offered to give me 100m Naija loan at 20% interest per annum but I refused because I don’t like to be in any kind of debt. If you know what to do with money, use their cash. However, it is always better to start business and run it with your cash. There’s a peace that comes with doing business with your cash especially if you are someone that can’t sleep peacefully if you are in debt. That’s how I stuck with Zenith Bank. We developed a working relationship, I would visit the manager whenever I needed to do some transactions and she would come to my office at times especially when I’m upset with them. She would come running to pacify me together with my account officer/relationship manager. For some reasons, I won’t mention their names and the branch here now. We were manufacturing and importing our products and I normally made wire transfers to my manufacturers in both Italy and India. For my manufacturer in Italy but before then, I had a meeting with the bank manager and we agreed that the bank would pay the custom duty while I focus on the shipping company. We agreed on this before I authorized the Letter of Credit for 5 containers worth $100,000. Like I said earlier, the huge mistake was that I didn’t get them to write this down. I believed her and we proceeded. Everything was done & funds moved to the company. Bank received shipping documents but refused to pay the duty as agreed. This was where the problem started. Like I said, Never take verbal agreements, they can be denied at any time. Every effort and proposals made to ensure the goods were cleared were not successful. We didn’t have enough cash to sort out the duties and shipping costs plus demurrages which were increasing rapidly. Another mistake was that we did not separate the containers, we had all 5 containers issued a single Bill of Lading so you can clear them one by one. In the process of trying to raise enough cash to clear the goods, the customs gazetted the containers and auctioned them. Actually, I was reliable informed that their boss(name withheld) gave them as gifts to some people. This experience shook me. I was devastated. It took me quite a few years to pull myself together and continue on this entrepreneurial journey. I made mistakes, I learned from them and I’m conquering still. Hope you’re able to learn a thing or two. Feel free to ask any questions and I will try to answer them all. Follow me here on twitter: @basilokpara. @Ladyr4real Nigeria is a very volatile environment to do business in but also extremely very profitable and very rewarding if you know how to navigate the business environment. And with proper guidance from people who have gone thru a lot doing business in Nigeria, you will succeed. 1. Before stepping into the world of entrepreneurs, never assume that you know enough. A lot of people jump into business with little knowledge of what they need to do and they end up failing. Business is not a leap of faith! I'm done with politics so we return to regular programming. Today, I'm gonna share with you guys some info on a few skills you could learn to improve your self value and make money especially if you are between the ages of 18 - 35. I often receive dms from followers asking me advise on a business to go into or something to do. I just wanna share a few thoughts that might help you make good choices. People sometimes say stuff like "chose something you're passionate about" but what if passion is not enough. What if your passion cannot make you rich or wealthy? You see, if we are honest, we all want to make tons of money and accumulate wealth. You cannot really enjoy your passion if you are hungry & poor. So first, you must chose to do something that gives you money/pays the bills. Hello guys, as an entrepreneur, one of the most important character traits you must develop both in your private life and in business is INTEGRITY. This determines your longevity and your success/failure in business. Too many in our world today do not understand this. Can people trust you with their money? When peoples' money is in your hands, can you be trusted to keep it safe and avoid the temptation of using it to sort problems? You must ensure that you are trusted with peoples' finances at all cost. This is extremely important. I remember one time I was in Istanbul on a business trip, then there was a limit to the amount one can transfer thru the banks in Nigeria. We had other means of transferring money to Turkey. There are people you pay in Naira into their accounts and you collect the $ equivaalent. In a week where the North East got yet another military commander, we got a better look at overburdened infrastructure. Elsewhere, as MTN gears up to enter the banks’ turf, concern over Nigeria's food import practices conjures a picture of a recently painted but creaking house. The @MTNGroup's announcement is a positive for #Nigeria's economy as it substantiates previous comments by MTN that it has no plans to exit Nigeria despite its spat with @cenbank over alleged illegal fund repatriation. The announcement ties into @MTNGroup’s strategy to become the biggest provider of mobile financial services in #Africa. The telecoms-led drive to provide mobile money services will introduce a new interesting chapter in #Nigeria’s financial services sector. A few days ago, I tweeted about the dearth of values and excellence in #Nigeria. That rarity of standards is why I am excited about @CustodianPLC's #CustodianMentors Conference. 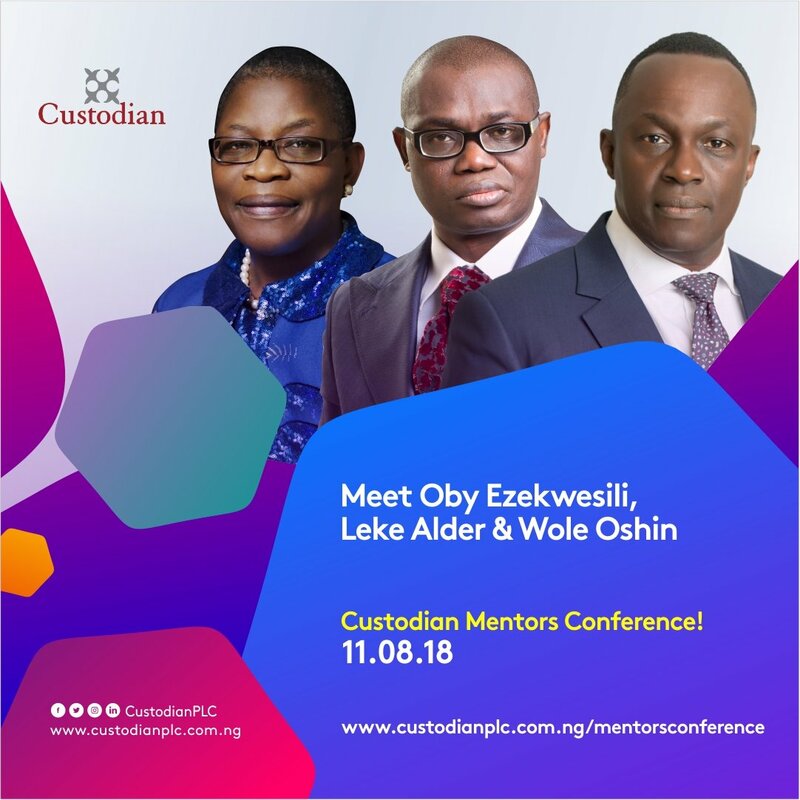 If there's someone you should meet at #CustodianMentors Conference, it is @obyezeks. Forget the Twitter noise. Let me share my personal experience. Hello, world. I'm proud to share my first full story for @nytimesarts. It's about a project by artist Michael Rakowitz that honors Tamir Rice, and also about the complexity of telling a story that's not your own. I had so many conversations about this project, and there's so much that didn't make it into the piece. But I hope and think it gets at a small piece of a much larger issue we need to grapple with. OK, OK, some more thoughts, prompted by @TylerGreenDC. I've been fascinated by this project since it was first announced three years ago because it seemed to marry the conceptual underpinnings of contemporary art with real-world political issues. That's rare. Yesterday, a rare joint session of both houses of @nassnigeria met and issued resolutions that has set it on a collision course with @AsoRock, and holds important political and economic consequences for #Nigeria as it stares down the barrel of #election2019. The tension between the 2 most important arms of the FG, both controlled by @OfficialAPCNg, has endured through the tenure of @MBuhari's administration and is consequential for the party, for the wider political state of the country and in driving economic policy.